Don't just be relegated to the groupie crew - get in on the rock 'n roll action in this Hair Band Women's Costume, from Dreamgirl. 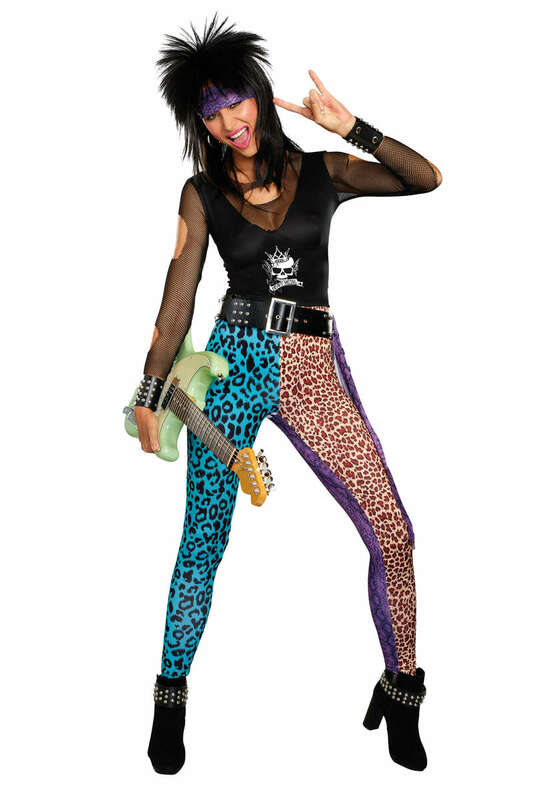 This heavy metal inspired costume style features animal printed pants and ripped rocker top with "Heavy Metal" screen print and fishnet sleeves. Also includes metal stud belt, head wrap, and two animal printed belt ties. Bracelets and guitar prop are not included. To properly care fo your Hair Band Women's Costume, the designer highly recommends that you hand wash separately from other garments. This item is proudly designed and manufactured by Dreamgirl. There are no reviews yet for Hair Band Women's Costume. You can be the first to write one!